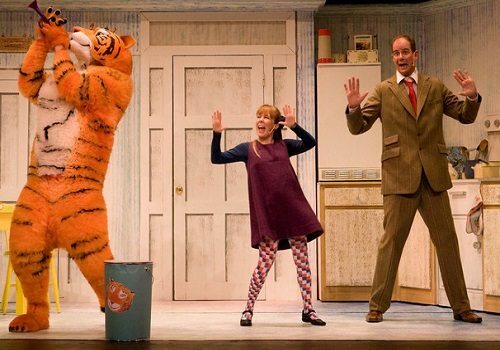 Celebrating its 10th anniversary on stage and 50 years of entertaining young readers, David Wood’s charming stage adaptation of Judith Kerr’s beloved The Tiger Comes to Tea returns to the West End. After limited seasons at the Lyric Theatre, the production arrives at the Piccadilly Theatre for a very special summer season. Soon, Sophie discovers the tiger’s insatiable appetite as he eats all the food from the cupboard and drinks all the water from the pipes! Will there be enough in the house for the tiger to eat and drink? And what will happen when Daddy gets home and there’s nothing left for his dinner? A hilarious and masterful story of mealtime mayhem, The Tiger Who Came to Tea is created by David Wood, whose adaptations for the stage include The Witches, James and the Giant Peach and Fantastic Mr Fox, as well as the Olivier Award-winning Goodnight Mister Tom. The production features choreography by Emma Clayton, design by Susie Caulcott, lighting design by Tony Simpson and sound design by Shock Productions. An Olivier Award-nominated production that is packed full of entertaining songs, interactive moments and plenty of laughter, The Tiger Who Came to Tea is the perfect treat for tiny theatregoers and their families. The play runs at London’s Piccadilly Theatre for a summer holiday season, from June 28th to September 9th 2018. 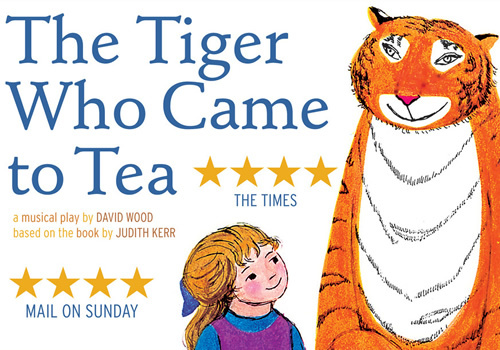 The Tiger Who Came to Tea is recommended for those aged 3 and up. Babes in arms under 18 months are admitted free but must be issued with a ticket from the box office upon arrival at the theatre.